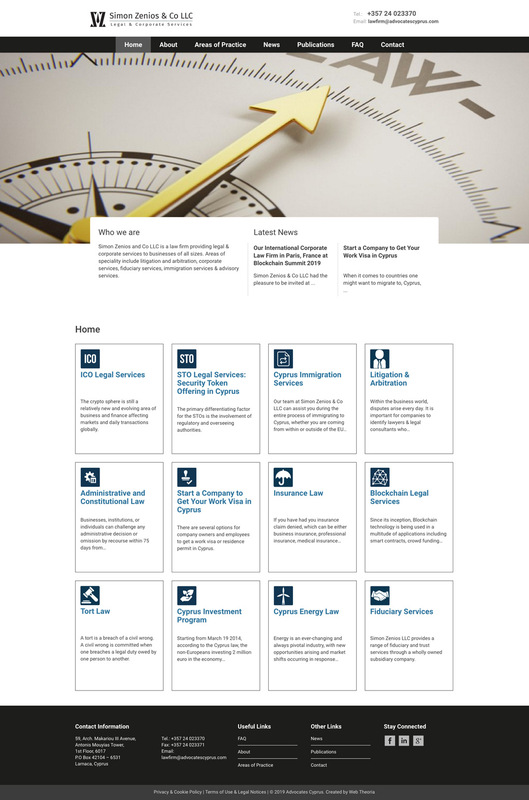 Collaborating with a law firm is always a risky business! Just kidding! 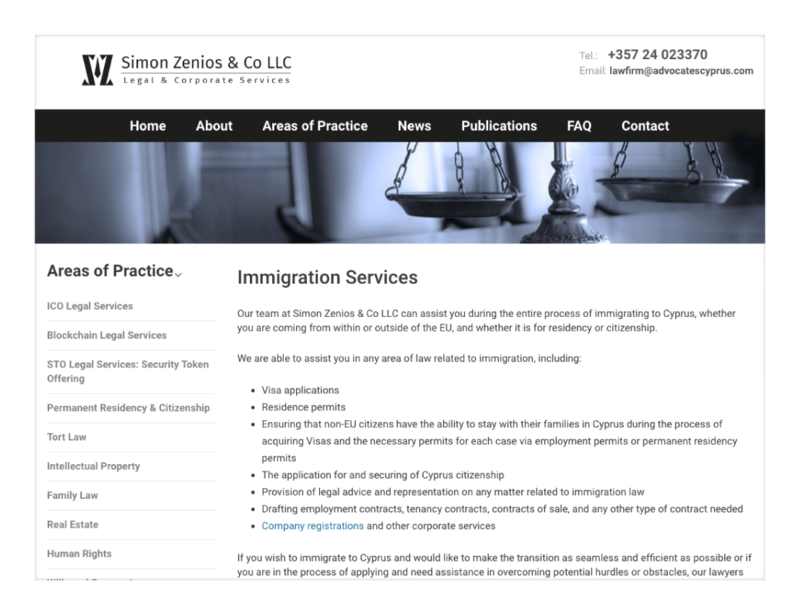 The good people of Simon Zenios and Co LLC made our life really easy by knowing in advance exactly what should be included in their website, how it should be structured as well as how navigation in it should take place. Organised to the bone, they also had prepared all text for us beforehand so there were no delays. All we had to do is proceed with designing their logo and website. We were excited to collaborate with them further, as both us and them recently ventured into the world of blockchain technology. Thanks guys for your valuable support and custom.